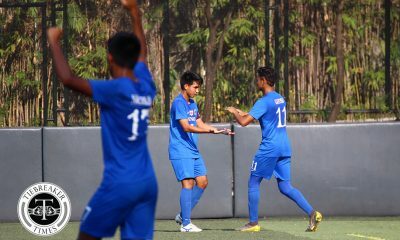 The Ateneo de Manila University Blue Eagles continued its mastery of the University of the East Red Warriors in their encounter during the second round of the UAAP Season 78 Men’s Football Tournament held at the Moro Lorenzo Field in Quezon City Thursday afternoon. It was both teams’ first game in the second round and Ateneo would have been relieved to not lose more ground in the Final Four race. The Blue Eagles relied on goals from Mashu Yoshioka (60′ & 63) and Julian Roxas (84′) to survive the Red Warriors. In turn, the Red Warriors can count themselves unlucky to not at least take a point from the match at the back of goals from Regil Galaura (41′) and Mar Opena (80′). The first half of the match was an even contest between Ateneo and UE. The Red Warriors displayed their willingness to clinch a first win this Season 78 early in the game when Galaura had a shot saved by Ateneo goalkeeper Kenneth James. Allen Lacsamana and Ariel Mallen had their own shots towards goal but both of them failed to properly test James. The Red Warriors should have led, though, when winger Mar Diano penetrated the Blue Eagles’ penalty box but squandered his shot outwards. Ateneo still probed the UE defense for any gaps. However, the UE defense held firm with goalkeeper Lendon Clores superb whenever he was called to action. 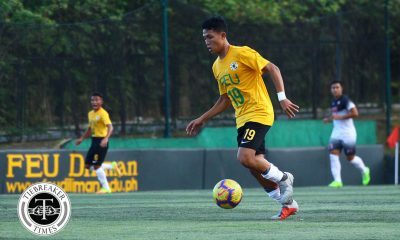 Mikko Mabanag had free kicks in dangerous positions. He, however, failed to direct them properly towards goal. Ateneo defender Ed Bana forayed into the UE half and found two opportunities to score but Clores was relatively unharmed. During the 41st minute, UE was able to give the sucker punch they patiently waited for. Diano passed towards Galaura. Galura then unleashed a shot from outside the Ateneo box that landed in the bottom corner of the net. 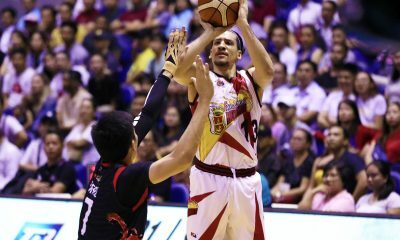 It was the least the Red Warriors deserved as they arguably played with more composure compared to the Blue Eagles during that point. Diano himself could have doubled UE’s lead a few minutes later but his header was caught by James. 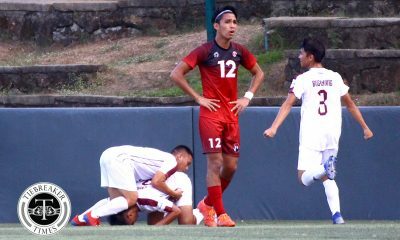 UE led, 1-0, at halftime while Ateneo were left to lament their lack of a killer’s instinct. It came as no surprise, however, that Ateneo were very much on the ascendency after the break. The Blue Eagles tend to improve once the second half starts and they displayed this prowess again in this match. Blue Eagle defender Kendall Colet found himself free in the Red Warriors’ box following an Ateneo set-piece but he failed to hit the target. Rather than let their heads drop after a missed opportunity, the Blue Eagles used it as a momentum changer in the game. Ateneo pushed for an equalizer and the Blue Eagles finally got one courtesy of Yoshioka at the 60th minute. Yoshioka eluded the UE defenders, found space, and finished the chance calmly towards the left side of the goal. Yoshioka’s equalizer provided the platform for the Blue Eagles to search for another goal. Yoshioka took it upon himself to score. His solo run eluded the Red Warriors’ defenders which gave him the space to shoot on goal. He made no mistake and his attempt went inside the left corner of the UE goal at the 63rd minute. UE were stunned with the events that transpired. All their hard work in the first half went for naught in a span of four minutes. They didn’t let their heads drop after the goals as Opena and Diano threatened Ateneo’s defense but the Blue Eagles held firm. The Red Warriors were finally rewarded for all their efforts at the 80th minute. Ateneo failed to properly clear the ball from a UE throw-in and Opena lurked at the edge of the Blue Eagles’ box. Opena intercepted the ball and slotted the ball home at an angle James was powerless to move to. With just ten minutes to go, the score was tied at 2-2 and it seemed that UE will bring home a point for their illustrious work rate. But there was bound to be a sting in the tale. With the risk of losing more ground to other teams in the race for a Final Four slot, the Blue Eagles had no choice but to push on for a game winner. The Red Warriors were dangerously pegged back in their half and they paid for it in the cruelest of ways. Ateneo forced a corner, which then resulted to a scramble inside the UE box. 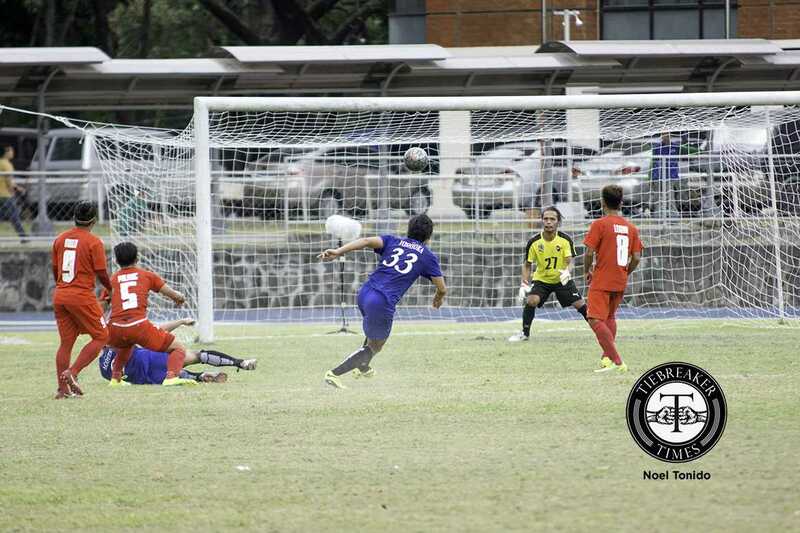 UE’s defense collapsed and Roxas found space in the box to slot the ball home at the 84th minute. Relief and triumph were on the Blue Eagles faces while the Red Warriors were left to rue their luck. Galaura could have equalized for the Red Warriors afterwards but his attempt was deflected for a corner. In the end, the Blue Eagles held on for a much needed win. The result elevated Ateneo to 5th place in the standings with 12 points while UE were still at 8th place with no points. Next up for Ateneo is Adamson University (8:00PM) while UE faces National University (3:00PM). Both games will be held on Sunday (March 20, 2016) at the McKinley Hill Stadium in Taguig.